For most people baking is a once-in-a-while thing, but when you are eating the Paleo way, if you intend to eat any kind of baked goods at all, you will have to make them yourself from scratch, and that means baking will, out of necessity, become a part of your routine. This doesn't have to be a bad thing. Baking is a very soothing and fulfilling activity for many people. The key, as in anything you do, is to have the right equipment and supplies organized conveniently. So today I'm going to show you a simple, quick and easy way to do that, and I will use my own kitchen as an example. 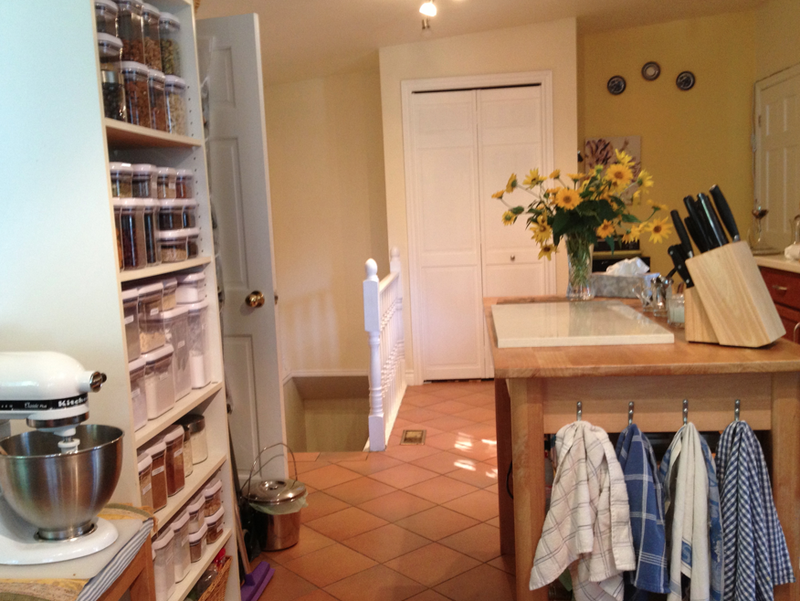 When you are setting up a Baking Centre, there are only two things to consider - a work area and a storage area as close as possible. 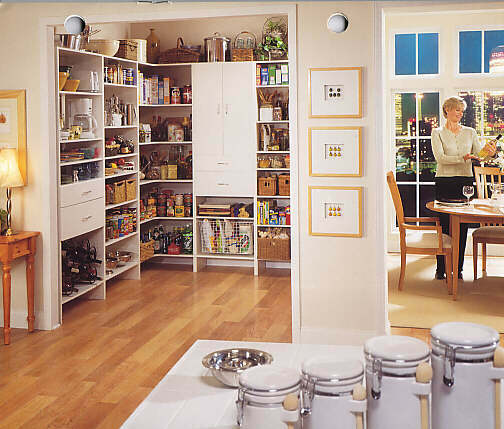 If you are lucky enough to have a pantry as part of your kitchen, then this is the obvious place to store your supplies. You can choose any work area that is reasonably close to it and use that for prep work. The main thing to remember when setting up any part of your kitchen is that you store things as close as possible to where you use them. I have a large kitchen but not much storage space, so I had to create my own baking centre. I set up an island with a marble slab as a working area. 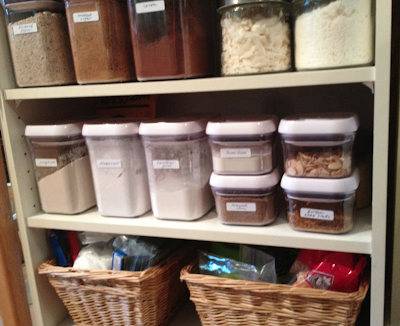 I have storage below, and my baking supplies are all kept on a simple bookcase. 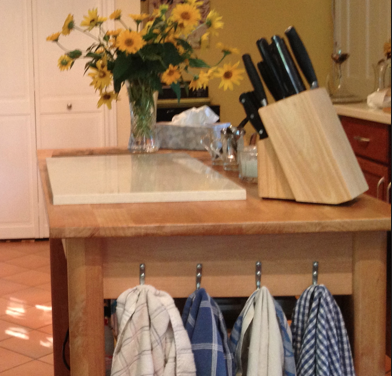 You can see I also have my stand mixer on a stool within easy reach where it can be plugged in and used without moving. Since this is the heaviest piece of equipment I own, I don't want to have to lug it each time I use it. Because marble or counter top is the best for baking prep, if you have enough counter top to work on that is the ideal solution. But if you need to use a wooden centre island like I have, I would very much recommend having a piece of marble or counter top to work on. When we had new kitchen countertops put in, I had them keep the piece they cut out for the sink so I could use that. They were charging me for it anyway, and having them round and smooth the edges didn't add more than a few dollars to the bill. If you are thinking of redoing your kitchen, this is something to keep in mind, but it's not the only option. There are also marble and marble-like pastry boards that you can buy that will serve the same purpose. 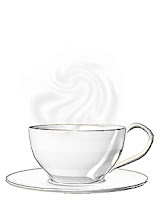 They come in a variety of colours, so you can easily find one that will fit with your kitchen decor. I also keep a variety of plastic storage containers and freezer bags nearby, and my frying pans, cooking pots, and baking pans are all easily accessible as well. 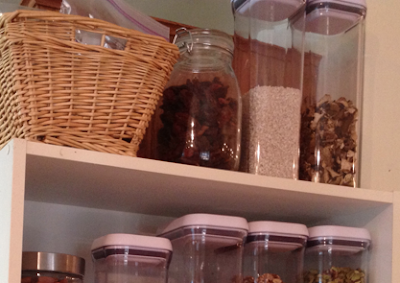 The second area you need to organize is where you will be storing your ingredients. As I've said previously, having a walk-in pantry is ideal because everything can be stored out of the way. However if you, like me, don't have that option, then you can easily make one without a lot of expense. All you need is a bit of ingenuity. I created my storage pantry from a simple white bookcase which matches the colour of the trim in my kitchen, so it doesn't look out of place. 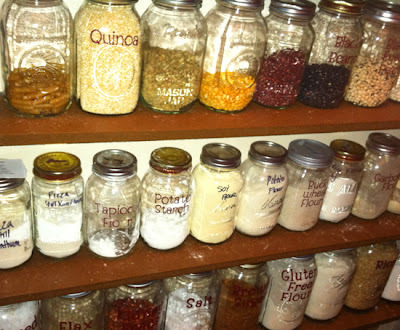 I've had a few emails asking me what ingredients I keep in my kitchen, so I'll go over it shelf by shelf. On the very top I keep large jars of frequently used ingredients - dried mushrooms, arborio rice and sun-dried tomatoes - and a basket of extra ingredients. The first shelf contains all my nuts. 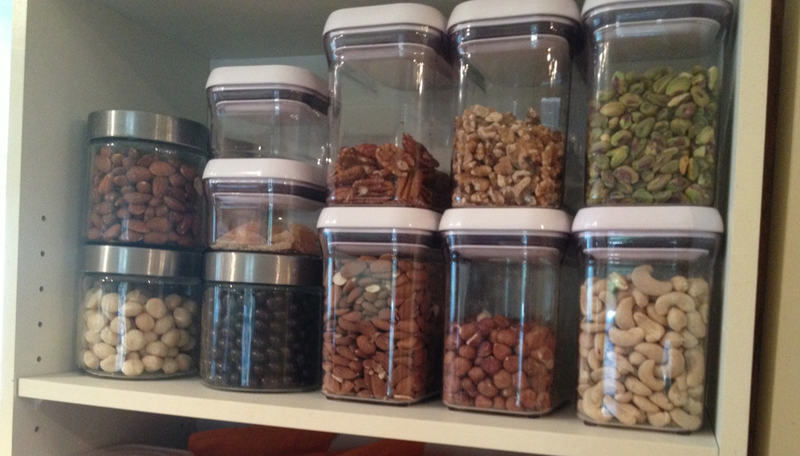 Since this is a large part of most recipes I make I keep a good selection - hazelnuts, pistachios, pecans, walnuts, macadamia nuts, and of course almonds in various forms. I also have a jar of chocolate covered coffee beans - a weakness of mine. 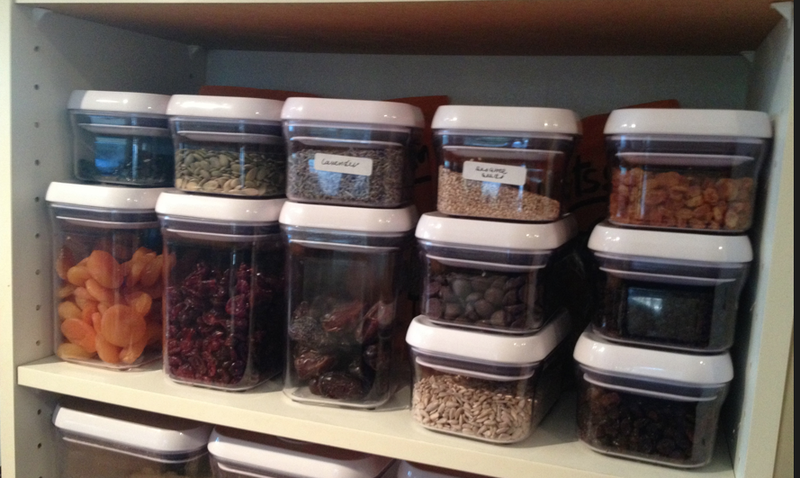 The next shelf down holds dried fruits and seeds- dried cranberries, cherries, yellow and dark raisins, currants, apricots, figs, dates, sesame seeds, pumpkin seeds and sunflower seeds. I also have a container of dark chocolate chips. On the eye-level shelf is where I keep my frequently used flours and flour mixes. 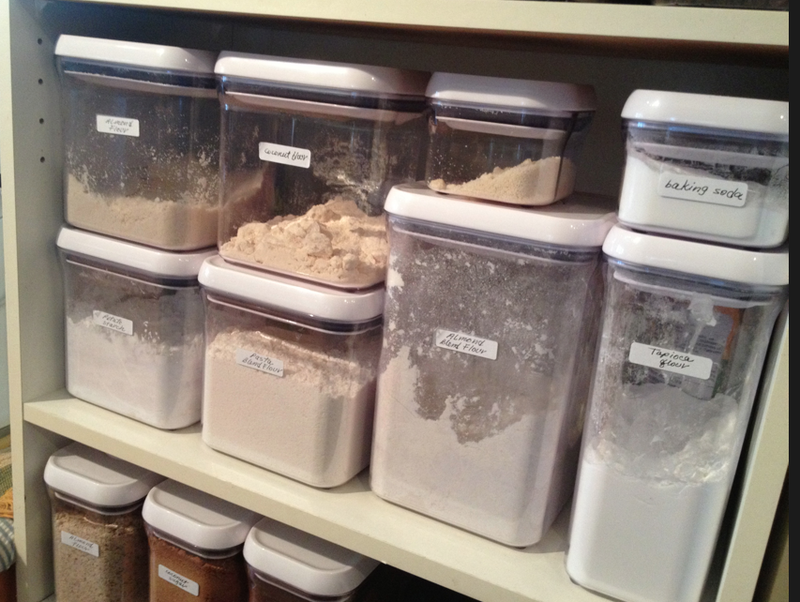 Large containers hold my basic flour mix, my pasta flour mix, baking soda and almond flour - both fine and with skins. I also have tapioca flour, potato starch and coconut flour. Below these I keep the ingredients I need for mixing my flour mixes (such as guar gum), as well as cocoa and toasted almonds. Since the shelves are a lot deeper than my containers, I can keep most of my extra supplies right behind the containers themselves, but when I have more than will fit I keep the excess in the two baskets on the bottom shelf. So there you have it - my baking centre pantry. Everything very accessible for quick and easy baking. To hold ingredients you can use any containers you wish. 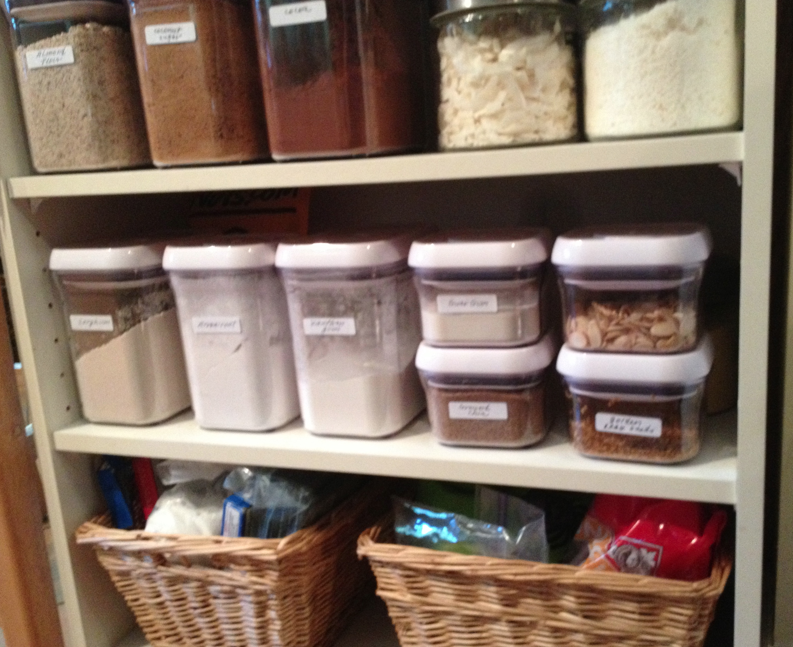 I use various kinds - round glass jars, wicker baskets, and special OXO storage containers. I decided to invest in the OXO containers for several reasons. Because they are square rather than round and also stackable, they make terrific use of limited space. I can see at a glance what I have, and since I keep any extra boxes and bags on the shelf behind the container, I can also quickly check to see what I am running out off. On top of that, these containers are made of a very heavy duty plastic (so totally bug-proof) and the tops have a very secure lid design. 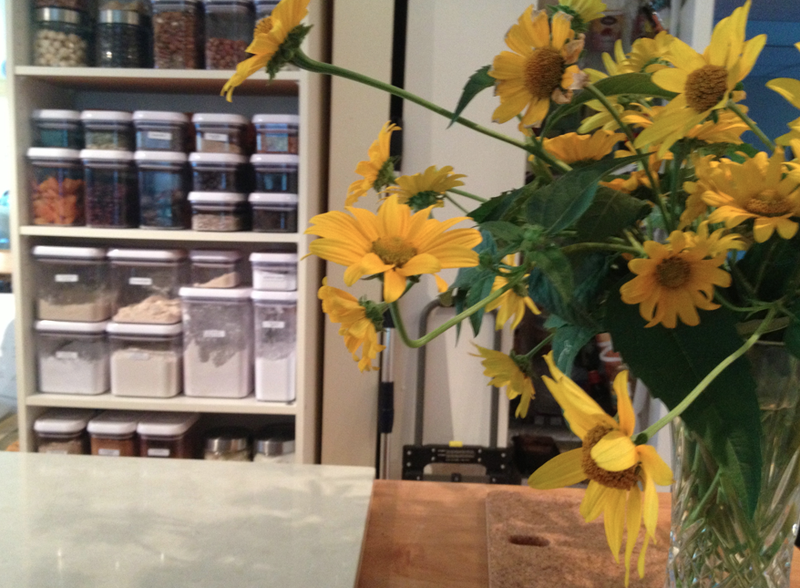 With a simple press of the top button your ingredients are sealed and protected. I live in the country where things like ants and moths can be a real problem, so this is important to me. Yes, these are an investment and not for everyone, but if security of ingredients as well as best use of space are important considerations, you should certainly consider these. I started out with a basic set to see how I like them, then, once I was totally sold, I added a few a month until I had what I needed. I still use other jars as well, but the ingredients I especially want to keep fresh and not dried out are safe in their OXO containers. There are of course cheaper options for storage containers. I have seen a lot of people use canning jars as in the example above from queenbeecoupons.com where jars are also used for gluten-free ingredients. However you set it up, as long as it's convenient and works for you, that is all that matters. 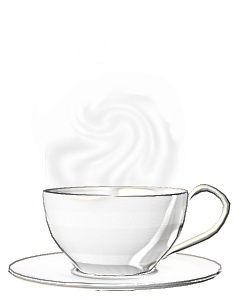 Since you are going to be spending more time baking, why not make this time as pleasant as possible. Of course, having a built-in pantry like this one at www.maxkoul.info is ideal, and certainly if you have the space and can manage it, go for it. 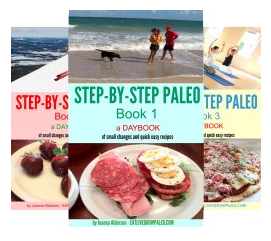 But if not, the whole point of this post is to show you that whatever you have to work with, spending some time organizing and setting up your baking centre will make living the Paleo life a lot easier.